Wondershare Technology held the Listing Ceremony (A-Share) at Shenzhen Stock Exchange on January 18, 2018. Spotmau new product conference Spotmau held a grand new pruduct conference in Guangzhou, where unveiled three products: IOT Peephole Viewer Camera, IOT HD camera and IOT fingerprint Lock. Wondershare’s sister company “Spotmau” is leading the smart home revolution by providing one-stop smart home security product and services to thousands of Chinese homes. Filmora, the latest masterpiece from Wondershare, offer a rich and exhilarating cross-platform video editing experience around the world. March 2013 Once again honored as the ‘Best Software Enterprise’ in China. December 2011 Wondershare awarder for the third time “2011 Deloitte Technology Fast 50 China”. January 2010 Achieved CMMI Maturity Certification. February 2010 Established the branch company in Hong Kong, China. May 2009 Established the branch company in Europe. December 2009 Awarded by Deloitte with the “Technology Fast 500 Asia Pacific 2009”. Established the branch company in Japan, and partenered with Softbank, the No.1 software distributor in Japan. Certified as a National Hi-Tech Enterprise. 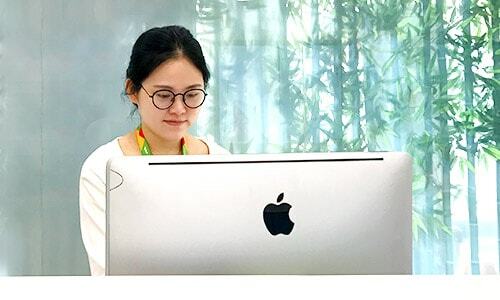 Released the first application for Macintosh users.Cooperated with the leading software distributor in Europe, and entered the European retail market. Introduced a wide range of applications in the area of Multimedia Software. Extend the product line to Audio / Video Conversion. Relased the flagship product Wondershare PPT2DVD. Wondershare Software Ltd. Founded. Released the first product Wondershare Photo2VCD. Any questions? Feel free to contact our offices in Shenzhen, Vancouver, or Tokyo.